The below complaint was filed with the City Clerk and Circuit Clerk. According to the statute, the Forrest County Election Board must have a hearing regarding this matter. I am filing a formal, written complaint alleging that numerous violations of election law occurred in the 2013 Hattiesburg municipal election and a hearing of the Forrest County Election Commission should be held as required by law to determine if probable cause exists to bring in the Attorney General in order to put forth the matter before a Grand Jury. According to Carter, the worker not only stayed with him, but she worked the machine herself, voting for DuPree and other candidates on his behalf. “It just happened that quick. Like, oh my gosh, I just been like voted for…like someone voted for me like I didn’t want him. And after that, it was the end of it,” said Carter. 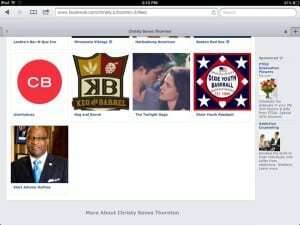 Election Commissioner Christy Thornton’s Facebook page displays her support for Electing Johnny Dupree. Election officials are supposed to be unbiased, according to the law. Any municipal officer or employee, other than the mayor and councilmen of any such municipality, who shall, during hours of employment solicit or attempt to influence any person to vote for any particular candidate at any election held in such municipality shall be guilty of a misdemeanor and, upon conviction, shall be punished by a fine not exceeding one hundred dollars ($100.00) or by imprisonment in the municipal jail not exceeding thirty (30) days, or both such fine and imprisonment. Both Mrs. Wade and Mrs. Thornton displayed signs in their yards endorsing Mayor Dupree and Mrs. Thornton also “Liked” Mr. Dupree’s “Elect Johnny Dupree” Fan Page, which advertised her endorsement of Mr. Dupree to voters on Facebook; and which are violations of the law as election officials. Given the evidence of their support of the Mayor Johnny Dupree is is evident that they lack the ability to be impartial and should be investigated by the grand jury. Ward 5 Candidate Kavadji Beverly is an employee of the City of Hattiesburg within the department of Urban Development. This department receives funding and grants; as such, any employee within the department is prohibited from running in a partisan election. I request a meeting of the Forrest County Election Commission hold a hearing as required by MS CODE SEC 25-15-903 to determine if probable cause exists to report this complaint to the Attorney General for probable election crimes.